Many vector-borne diseases are climate-limited because the pathogens cannot complete development before the vectors die. Laboratory and field studies have shown that the extrinsic incubation period (the time needed for a pathogen to replicate in the salivary gland of the mosquito to sufficiently high titers for infection to occur) becomes shorter as temperatures increase - thus enhancing transmission, because mosquitoes become infectious more quickly (Patz et al., 1998). In cooler areas of the world, malaria is hindered by the lack of development of the malaria parasites, rather than by the presence of the vector. Various estimates of the parasite's temperature requirements indicate that P vivax has a developmental threshold temperature of around 14-16°C - lower than the 16-19°C needed for P falciparum (Martens et al., 1999). 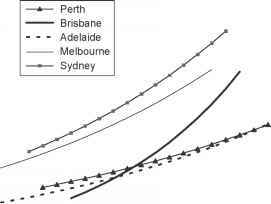 Figure 14.2 Predicted increase in monthly notifications of food poisoning (salmonellosis) with increasing previous month's temperature for five Australian cities. Reprinted from d'Souza etal. (2004), with permission. infections among infants during the cold season is commonly reported (Isaacs and Donn, 1993; Chan et al, 2002; Al-Khatib et al, 2003). Interestingly, however, respiratory syncytial virus has a completely different seasonal pattern in the tropical climates of most Asian, African, and South American countries, appearing during the rainy season (Chew et al., 1998; Shek and Lee, 2003). This suggests that factors other than - or in combination with - temperature may be important in the transmission of this virus. Salmonella, and other bacteria responsible for food poisoning, proliferate more rapidly at higher temperatures (Baird-Parker, 1990). The rate of multiplication of Salmonella species is directly related to temperature within the range 7.5-37°C (Baird-Parker, 1994). Studies have shown that an increase in notifications of (nonspecific) food-poisoning in the United Kingdom (Bentham and Langford, 1995; Bentham and Langford, 2001) and of diarrheal diseases in Peru and Fiji (Checkley et al., 2000; Singh et al., 2001) has accompanied short-term increases in temperature. 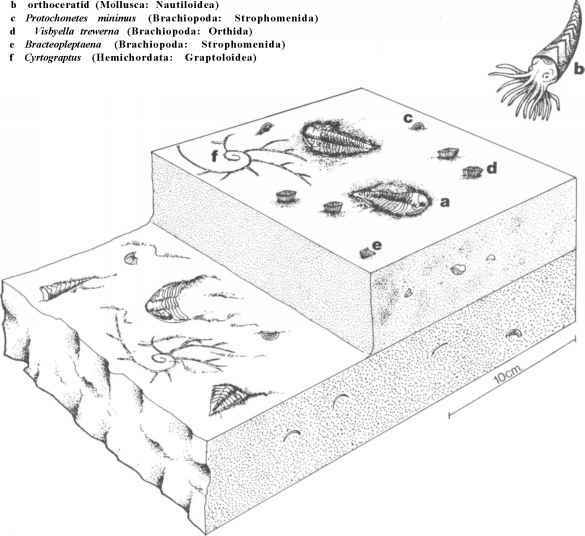 Linear associations have been found between temperature and notifications of salmonellosis in European countries (Kovats et al., 2004) and Australia (D'Souza et al., 2004; see Figure 14.2), and a weaker seasonal relationship exists for infection by Campylobacter (Kovats et al., 2005; Nichols, 2005). As cooking destroys most food-borne pathogens, it is likely that inadequate storage and the spread from contaminated to non-contaminated food are risk factors for transmission in sporadic cases (Schmid et al., 1996). Outdoor temperatures might also affect people's exposure to salmonella bacteria through seasonal changes in eating patterns (such as the consumption of foods with a higher risk of Salmonella contamination from buffets, barbecued foods, and salads, etc.) (Kovats et al., 2004). One of the world's most feared diarrheal diseases, cholera, is also sensitive to environmental temperature. There is now diverse evidence of the proliferative response of the cholera vibrio to warmer water in lakes, estuaries, and coastal waters (Long et al., 2005; Wilcox and Colwell, 2005). It is likely that the combination of persistent poverty (with lack of sanitation), warmer temperatures, and population displacement and movement in poorer tropical and sub-tropical regions will exacerbate the occurrence of cholera in future. Meningococcal meningitis in the Sahel region ('meningitis belt') of West Africa provides a tantalizing example of an epidemic infectious disease possibly related to climatic conditions. The fact that outbreaks occur approximately periodically may reflect cyclical fluctuations in climatic conditions (Sultan et al., 2005). The person-to-person spread of meningococcal meningitis appears to be related to temperature, rainfall (especially aridity), and other environmental (especially winds and dust) conditions (Greenwood et al., 1984; Haberberger et al., 1990). Also, the infrequency of outbreaks in humid, forested, or coastal region areas may be because high continuous humidity impairs transmission (Molesworth et al., 2003).